I’ve never made any secret of my liking for one-coach trains. The Great Western Railway and the Western Region had lots of them, from 70ft long steam railmotors, through autotrains and streamlined diesel railcars to Class 121/122s and four-wheel railbuses. I have models of all of them. 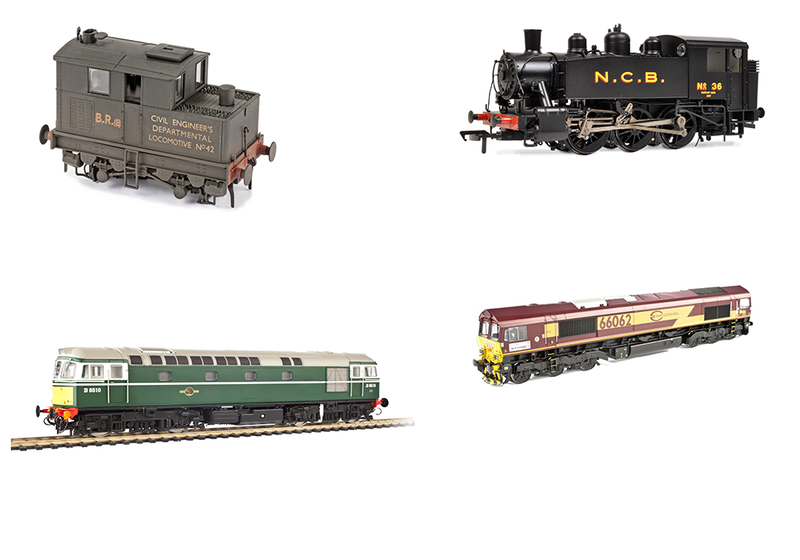 In fact, I have more AC Cars diesel railbus models than BR had of the real thing! Over the years I’ve tended to upgrade whenever a new kit or ready-to-run model comes along and I’m now upgrading my fleet of Class 121/122 ‘bubble cars’ with the new Dapol ready-to-run model. I’ve just finished detailing my latest acquisition, Dapol’s early green liveried W55000. It comes with buffer beam hoses and cables to be fitted by the modeller, together with decals for destinations and headcodes. I spent an evening fitting passengers, crew and tweaking the paint job to suit my taste, and I took the model up to my gallery for running-in on the layout. While it was running, I decided to take some photographs, and try some angles on the layout that I haven’t tried before. I found one very attractive viewpoint, looking through under the Hornby lattice footbridge at Bolventor, my wayside station. However, it required placing the camera on the down platform from where I couldn’t see the LCD viewfinder screen. I took pot-luck and clicked. As a composition, I like it and I’m sure a photographer of Chris Nevard’s calibre could make a really nice picture of it. 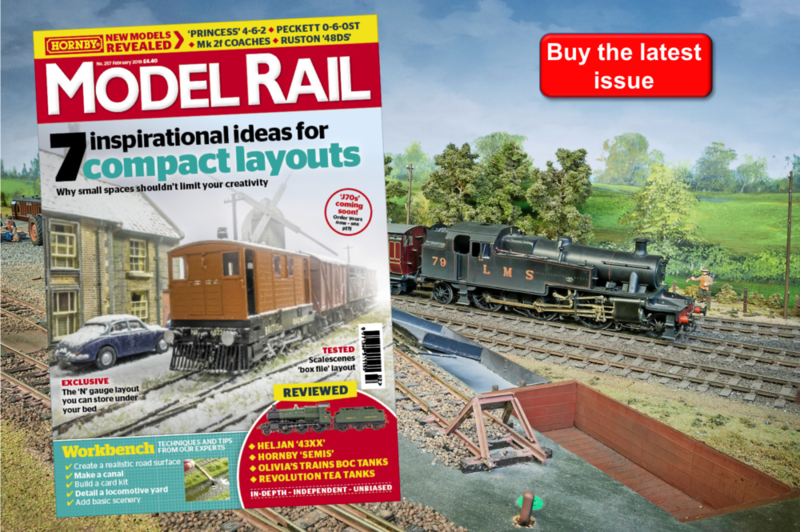 However, the layout would need a fair bit of attention first. As I’ve said, it’s an area that’s pretty inaccessible and I certainly can’t get myself into any position where I can see the platform side. However, the camera fits in quite neatly. I just didn’t like what it saw. In the couple of years since it was laid, the platform surface has curled really badly all along the edge, revealing lots of crinkled white paper. That isn’t going to be easy to resolve and the whole platform surface may need taking up and starting again. You’ll also notice a dead fly on the down platform... Not the first time this has happened. I’ve christened this the ‘Barnwell Fly Problem’. It is usually confined to the autumn, and may be merely a rural phenomenon. This year, however, it was still giving me problems in the spring. The flies appear at harvest time and seem to migrate to light-coloured surfaces. They like the pale stone floor of the village church and they like the white ceiling of my gallery with its two large skylights. They seem to be drawn to these locations as a place to die. They drop dead in large numbers in my gallery and fall onto the layout. Careful vacuuming of the layout is needed because a hardened fly corpse is quite capable of causing a derailment! I recall Trevor Jones, who has an extensive ‘OO’ garden railway, telling me that slugs were a major problem, in that 12V DC was quite capable of frazzling them if they bridged both rails when the power was on! So now, I have another nice new train to run but a station to rebuild. One step forwards and two back?